Arch City Title, LLC is a locally owned and operated, full-service title insurance agency serving the Missouri counties of St. Charles , Franklin, Jefferson, Lincoln, Warren, and St. Louis City and County. Arch City not only specializes in new construction transactions, but has expanded throughout the years to provide premier services on all types of residential transactions. It is the team’s dedication to providing the most comprehensive title insurance services that has led to its sustained growth throughout the years. Arch City Title issues title insurance after careful examination of the public records. Without title insurance, home buyers may not be protected against errors, hidden defects not disclosed by the public records, or mistakes in examination of the title. As a result, home buyers may be held fully accountable for any prior liens, judgments or claims brought against the property. 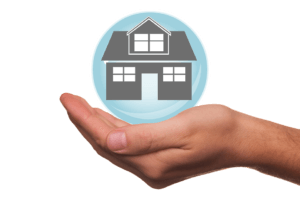 If this should occur, an owner’s title insurance policy from Arch City Title will protect and defend the home buyer, at no cost, against all covered claims up to the amount of the policy. Most lenders require title insurance in order to lend money on property. In addition to title insurance; however, lending professionals can be assured that the team at Arch City can facilitate a professional escrow closing utilizing state of the art technology and software integrations. In addition, the company’s Best Practice Certification issued by Pershing, Yoakley and Associates makes third party vendor management seamless. The team at Arch City works hard to avoid common delays in closing that can lead to frustrated and unhappy clients. We understand that a Realtor’s success is dependent on referrals and work hard to make the transaction a seamless experience for everyone. In addition to issuing title insurance, your team at Arch City Title will help coordinate your transaction. Your escrow closer assembles all the information from contract to closing, working closely with your Realtor, lender, builder and other individuals in your transaction. The closer will oversee the signing of all the necessary documents, and will then follow through with the team to make sure that your documents are recorded in the public land records to complete the process. Buying or selling a home can be as stressful as it is exciting. Our team is ready to navigate your journey to home ownership. Arch City Title , LLC, provides vital links in the home buying and lending process to give real estate professionals, builders, and lenders the tools and support they need to successfully buy homes, sell homes, and grow their businesses.